I need some advice from my friends. The Power of Moms is going to start offering a couple of free items in the next week or so, and we need a little introductory video to go on our home page, letting people know how to get our first free item: "Five Steps to Less Stress." I filmed this YouTube video while my children were around (and they automatically turned crazy as soon as they knew I was recording). I can't tell if it's just too noisy and crazy to make sense or if all the moms out there will be able to relate. I can easily film another one tomorrow, so please--what do you think? I won't take it personally. For those of you who aren't familiar with EFY, it stands for "Especially for Youth," which is a week-long summer conference, hosted by The Church of Jesus Christ of Latter-day Saints for youth ages 14-18. I am one of more than 300 teachers who take a couple of days a year to interact with these incredible youth. 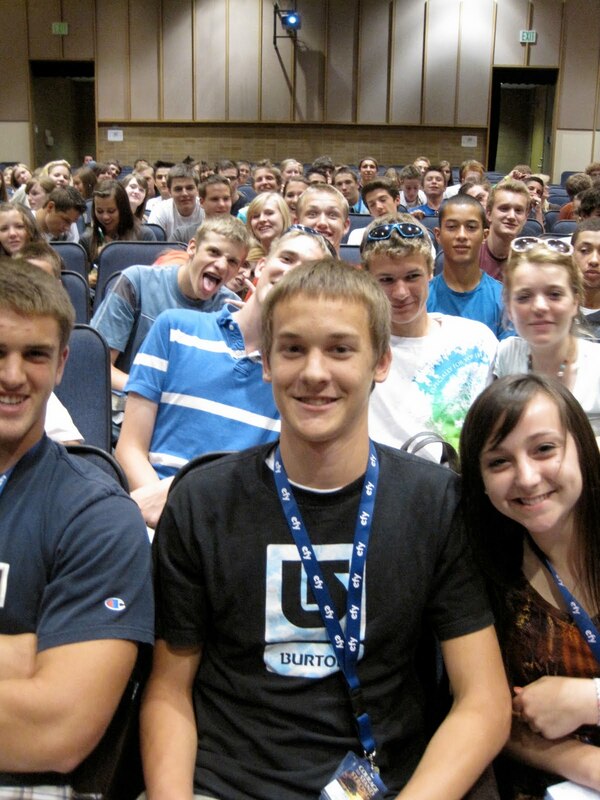 In my session, at BYU, there were about 400 participants and 3 teachers, so each class is packed full of energetic teens. "I had a little copy of the "For the Strength of Youth" pamphlet in my pocket, so I took it out and read her the part about dancing. I told her I would put my hand on her shoulder, and no lower. She liked that. Then she told all her friends, and by the end of the dance, everyone was dancing that way." When he finished sharing his story, the class sat in stunned silence, and then everyone just applauded. I asked if I could take his picture. How many young men would have the courage (or even the desire) to DO that? He holds the Priesthood, and he takes his covenants with God very seriously. Even when he could have easily "gotten away" with dancing like everyone else, he decided to stand strong for what he believes in. And the greatest part is that his courage inspired others to do the same. In an email exchange a few weeks ago, my favorite college professor asked me to tell her a little bit about my mom. This particular professor taught a class called "Work and Relationships in the Home," which taught me that housework is not about the work itself, but about the bond that is forming within your family. 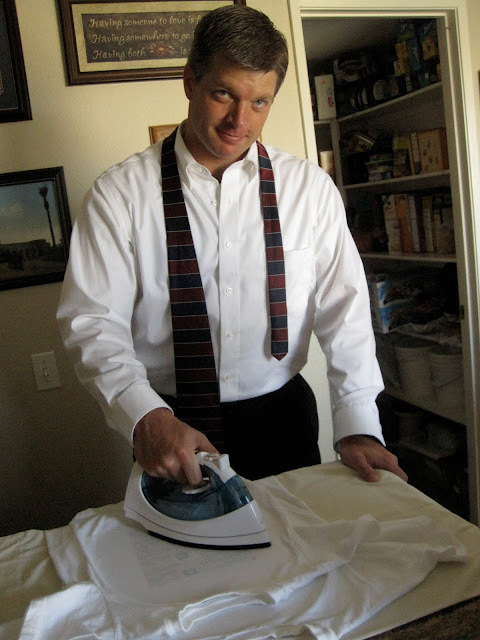 I wrote an article on it called "What's the Point of Housework," if you'd like to read it. In observing the struggles I see around me, I think the blessing of being raised by a mother with vision of the importance of what she is doing cannot be overestimated. So, my question, tell me about your mother. You have such an innate commitment to this calling of mothering; I know it didn't originate with the 371 class. Just thinking about my own mother brings tears to my eyes. She's in her 70s now, and whenever I visit with her, I say, "Mom, the only reason I'm able to do all this work to strengthen mothers is because I was raised by YOU." I was literally raised by an angel. I've written out my "story" on The Power of Moms website--describing the main influences in my life that have helped me to learn the importance of motherhood, but I'll try to record some specifics about my own mother below. First of all, I have never once seen my mother "frazzled." She does get nervous when she has an airplane to catch, and she jumps up in panic every time she hears the street sweeper (and then she runs up and down the street, saving our neighbors from getting tickets), but she's never seemed stressed or tense or worried about anything. The first conversation took place when I was nine years old, and my mother had just returned from a preschool co-op parents’ meeting. I recognized that my mother did not have the same fashionable clothes and jewelry as all of the other mothers, and I asked her if she ever felt intimidated by all of the other women. As an insecure nine-year-old, with bangs that never curled right, I felt very intimidated by the “pretty” girls at school, and I was sure my mother must have felt the same. She sat down by me and said, “No. I don’t feel intimidated because I look around the room and think, ‘No one here loves the Savior more than I do. They might love Him as much as I do, but they can’t possibly love Him more because I love Him with all my heart.’” That gave me a whole new way to see my self-worth. From that point forward, even when I had weight problems and/or bad hair days, I felt confident in who I was because I loved the Lord. The second conversation that comes to mind took place sometime during my high school years. I do not remember how we got on the subject (except for the fact that our discussions always turned to the Lord), but one day we were talking about physical possessions, and how our testimonies of Jesus Christ were more precious to us than anything we could buy. My mother, sitting across from me in the kitchen, taught simply, “There is no possession in the world—not the biggest house, not the fastest car, not the most extravagant outfit—that can bring tears to my eyes just by thinking about it.” I remember a long pause after she spoke those words, and we both just looked at each other, neither one of us holding back the tears. I knew she loved the Lord, and I promised myself that I would always show Him that same love. My mother had eight children--six of us girls. She never worried about the wedding receptions at all (My teacher and I had been discussing how stressful weddings are). We kept them VERY simple. She would buy us whatever we needed and help us get the photographer, cake, decorations, etc. lined up, but weddings were never stressful to her. Three of my sisters were married the same year--two in January, one in August, and I don't once remember my mom looking the slightest bit worried. #1: She loves the Lord with ALL her heart. Every morning when I woke up, I'd find her sitting on the couch reading her scriptures. She'd mark them with highlighters, red pens, black pens, pencils, etc., and she'd have a journal right next to her where she would record all of her thoughts and feelings. She would take her scriptures in the car with her and read while she waited for me to get out of cheer or drama practice. If I was ever late, she'd say, "Oh, that's okay. I had my scriptures." I have dozens of memories of my mother on her knees, as well. 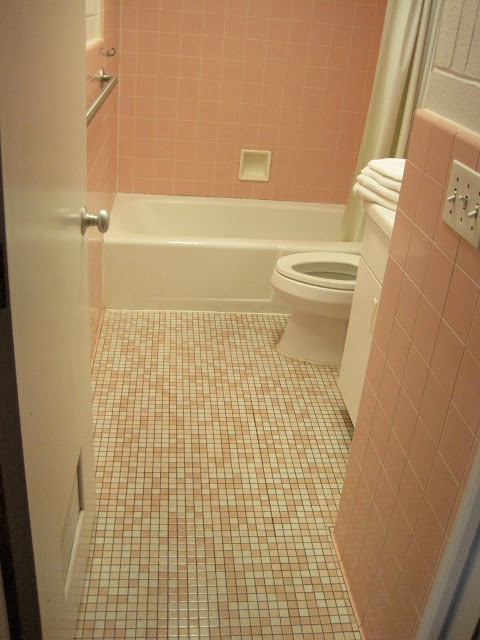 I remember many times walking into her room and finding her kneeling by her bed. I would start to leave the room, but she would pop her head up, open her arms to me, and invite me to come in and talk to her. One day, I said, "Mom, what do you say to the Lord in your prayers when I interrupt you?" She said, "I tell Him my child needs to talk to me, and I'll be right back." Many times, my mother has told me that if she could choose her place in heaven, she would ask to be the Lord's door keeper. She wants to be the one to open the door for him whenever he needs to enter His home. We saw a painting once of a man hugging the Savior, and when she saw it, she bowed her head and said, "Oh, I can't picture myself doing that. I need to be at His feet." As I've talked to my mom at length about the process of raising her children, I know for a fact that angels have been with her continuously. She has had so many sacred experiences--too sacred to write--in which miracles have happened for her. They haven't been "huge" miracles that anyone in the world would necessarily value, but they are beautiful, powerful, real experiences that can only be explained by heavenly intervention. I'm trying to be better about stopping myself during those hard moments and asking for the help I need. My mom was a great example of this. She'd be doing the dishes or making the beds or sweeping the floor, and I would hear a whispered plea: "Father." A couple of times, I asked her why she called out to Him. To me, everything seemed like it was going just fine, but my mother was often carrying burdens that I knew nothing about. Instead of taking her anger out on me or running out and racking up debt on the credit card or wallowing in time-wasting activities, she simply focused her faith and called, "Father." You can't spend a significant amount of time around a woman like my mother without feeling the power of the Lord. All 8 of her children know for a certainty that the gospel is true because we saw it in the life of our mother (and certainly in our father, as well). None of us ever wanted to be rebellious because we couldn't stand the idea of hurting our mom. She is the definition of sweetness. So yes, I do think that faith in Jesus Christ is a huge part of handling crises, but that second point you brought up about knowing the importance of your work is also essential. I think the two go hand in hand. When you really know the Savior, you know what matters to Him, and you will live your life accordingly. My mother always treated us like we were the most important people in the whole world. She never aspired to be recognized for anything in public. In fact, she shied away from any attention at all. Even when she teaches a class at church, she is so nervous and doesn't want any extra attention. In any social setting, she will be the woman off to the side, giving hugs and words of encouragement to anyone in the room who is struggling. I call her on the phone at least twice a week, and when she answers with her sweet, "Hello?" I say, "Mother!" and then she says, "April!" (like I'm her long-lost best friend that she's been hoping would call for the past six months). And then she sits on the phone with me for as long as I want, and she wants to hear "all about it from beginning to end," and she listens to me cry, and she lets me tell her all the secrets I can't tell anyone else (and I know she'll never share them), and she lets me know how her knee is doing (she just had a knee replacement) and when her next doctor appointment is, and then she asks when she gets to see me again, and she says, "I think about you every single day, and I want to call, but I don't want to disturb you." and I say, "Oh mom, you're never disturbing me. Just call whenever you want, and I'll pick up when I can." I always feel like I matter so much to her. I know that was long...I think I was writing it more as a record for me and my children than anything else, but I thought I'd share. These are the kinds of things I think about when I assess my "success" as a mother. It's more about how my children feel and who they're becoming. All the "fluff" doesn't matter. I know that not everyone was raised with a mother like mine. But I also know that we each get to decide what kind of a mother we will be, and I think my mom is one of those examples of motherhood that's absolutely worth following. 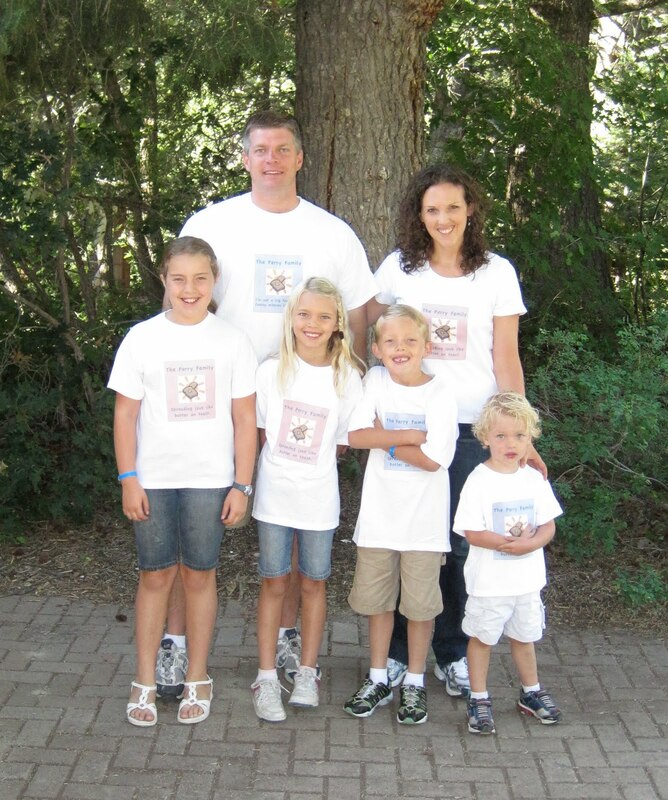 For those of you who have read my previous posts, you know how excited I was about creating Family Mission Statement T-shirts this year to wear to family camp. Our theme? "Spreading love like butter on toast." I know these shirts are kind of cheesy, but I've had this "matching t-shirt" dream for the past 10 years, and now that I've got "Mind Organization for Moms" working for me, I decided to take this off my Someday list and make it into a Current Project. 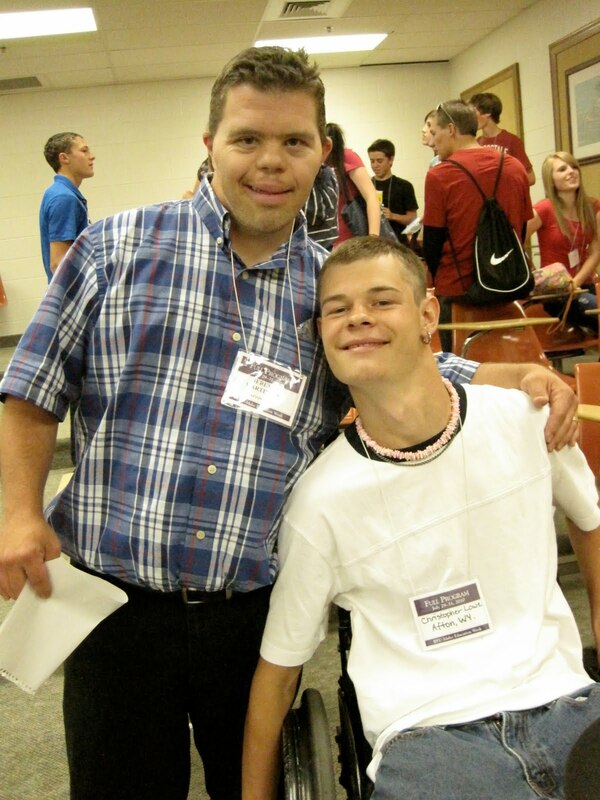 Not only did Eric WEAR his shirt, he helped MAKE them all! Nothing says "hot" like a husband who irons. Our children were literally jumping up and down with excitement as we ironed our fabric transfers onto the t-shirts. That's why Eric was so willing to help. 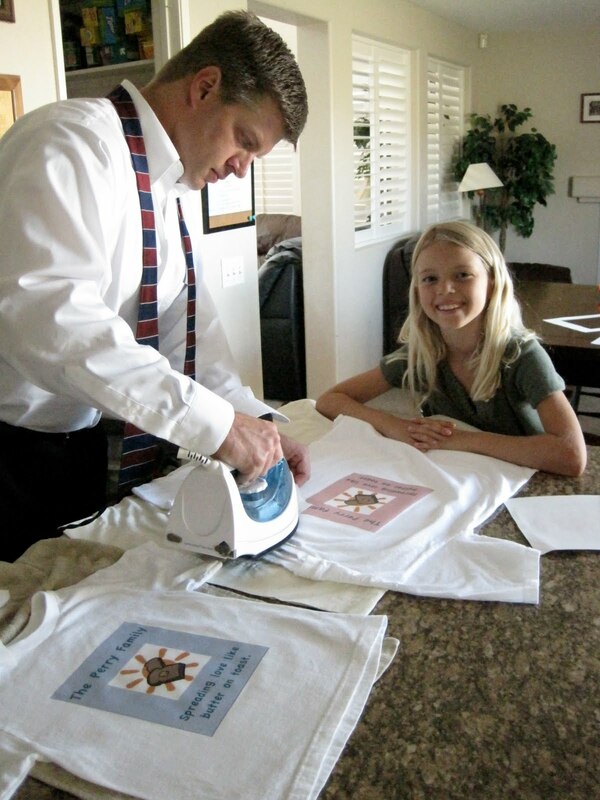 He would never in a million years have made these shirts on his own, but he knew that it meant a lot to our kiddos. As we got dressed in our little camp cabin that morning and headed up to breakfast, we felt so tightly bonded as a family. 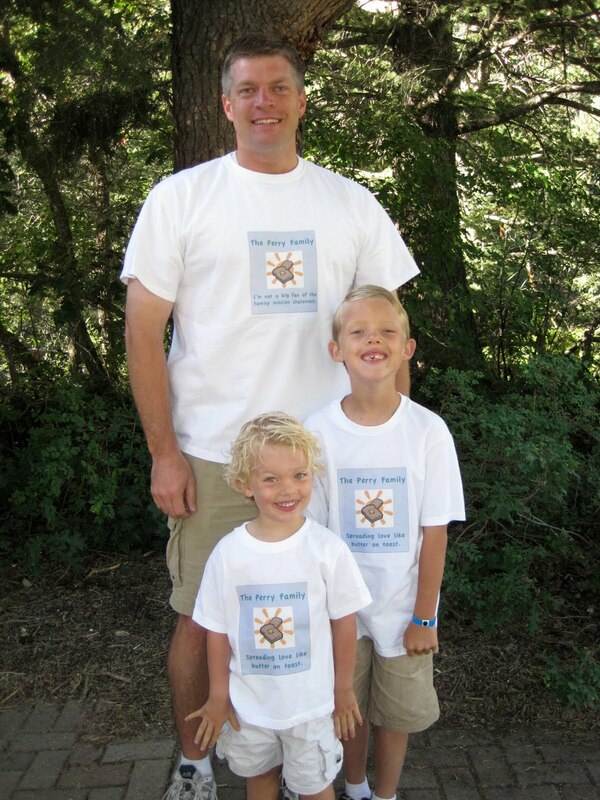 Here are the boys--remember how Eric got his own personalized shirt? Instead of the "butter on toast" phrase at the bottom, his says, "I'm not a big fan of the family mission statement." That's what I love about Eric. He's always keeping it real. Do you see how happy Spencer looks? The next day as I was getting him dressed, he pleaded, "Butter on toast! Butter on toast!" But the shirt was way too dirty to wear again. And here are the girls. We like to match, but we never have anything to wear. This was a fun moment for all of us. Total cost for six Perry Family Shirts? Eighteen dollars. The experience? Priceless. My son wanted a Spiderman cake for his 7th birthday. I was great with that, but Spiderman cakes are pretty pricey at our grocery store, and I didn't think it was worth the money. So in my head, I thought, "I'll just go buy a Spiderman action figure and put it on a homemade cake." In my mind, I pictured a big chocolate cake with pretend skyscrapers, complete with a Spiderman guy crawling up to the top. Do you want to start laughing now? My son's birthday happened to fall right around an incredibly busy time for our family, and since we were going to have a more formal party with his friends at a later date, I thought it would be okay to just make a simple cake for his "actual" birthday. The only problem was that I only had an angel food cake and cool whip for a topping. I made the cake in two loaf pans, spread on some whipped cream--which melted right away because the cake was still hot--and then stuck Spiderman on top (protecting the cake with saran wrap since Spiderman had already been rolling around in our backyard). I guess this could be one of my most embarrassing "mom" moments, but do you know what? Ethan loved it. He couldn't have been happier. And now we have this fun photo to make us laugh. The lesson this photo teaches me? RELAX. I heard that quotation a couple of months ago, and I've thought of it many times since. Does it not take courage every single day to be a mother? Our Question of the Week right now is, "How Do You Handle a Case of "I'm a Bad-Mom" itis? And the more I get to know moms...I mean REALLY get to know them, the more I see that we all have the same challenges. "For struggling is not only the key that unlocks the storehouse to knowledge, but plants a man's feet firmly in the path that leads to great achievement. There is no other way to reach the heights where the victorious assemble." I'm going to keep these thoughts in my mind today. As I savor the "highs" and try to learn from the "lows," I know the struggle is what makes us strong, and if we don't achieve everything we hoped for today, then we'll just try again tomorrow! The first day of school started out great. 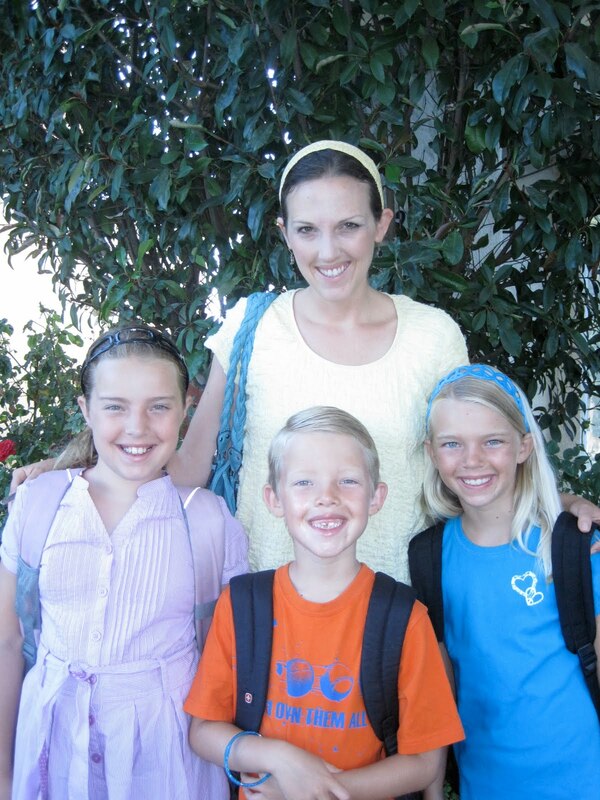 My three oldest children dressed in their new clothes, laced up their new shoes, ate a healthy breakfast, and then headed off to school with homemade sack lunches and brightly-colored, fully-stocked pencil cases. I felt like a wonderful mom. They returned home seven hours later, happy but tired, toting folders overflowing with paperwork, and that's when MY work started (I mean...continued). As I shuffled through more than 50 sheets of fliers, forms, and date-specific notices, I started to feel a little dizzy. The pile on my counter harbored a LOT of information, most of which needed my attention right that minute. I was tempted to break into tears or bury my head in a carton of Rocky Road, but then I thought, "Wait a minute. I've been trained in Getting Things Done. I was MADE for situations like this." Within 30 minutes, the papers were completely processed, and I was ready to move on with our evening. And since I had such a glorious experience with my paper party, I thought I'd share some ideas that might help other moms manage the near-constant influx of papers that comes flying from their children's backpacks. Step #1: I did a quick initial sort, pulling everything out of the pile that belonged in the trash. That was actually half the pile, since all three of my children received identical copies of each handout (maybe they'll go digital someday?). By removing the trash at the beginning, the remaining stack looked much less daunting. Step #2: I went through the stack again and processed everything that would take two minutes or less. I typed the teachers' email addresses into my Contacts list, noted the date of the school's 5K, and recorded all of the holiday breaks onto my calendar. That eliminated seven or eight more sheets of paper. Step #3: I gathered all the sheets I wanted to keep for reference (bell schedules, classroom rules, details about the school exercise program, etc.) and put them immediately into my filing cabinet in a clearly-labeled folder...just in case I need to find them quickly in the future. Step #4: I made a decision on the school picture order form and then wrote a reminder on the next day's calendar page to order the photos online (doing so enabled me to receive a few extra photos free of charge. Wasn't that a nice of them?). Step #5: I got out my Next Actions list and recorded the three extra school supplies my daughter needed in the "Errands" context. Step #6: I spread out all nine of the emergency cards and a few extra forms on the table, and my children and I filled them out together. They wrote their names, address, phone number, etc., and then I added a few additional pieces of information and my signature. That was it! Piece of cake, right? There's no need to stress when you're a "black-belt" at paper processing. There was one little boy in my daughter's Kindergarten class a few years ago whose mother NEVER emptied his backpack. I'm serious. Every morning, he came to school with a bulging backpack--full of paperwork that had been piling up for months. I knew his mom a little bit, and I don't think she was trying to be neglectful. I think she just felt overwhelmed with her own paperwork and problems, and unzipping a backpack of "stuff" would have thrown her over the edge. I feel like part of my mission in life is to help the moms of the world to get organized. It takes some work, but it's not that complicated, and the basic ideas presented in Getting Things Done (and therefore, Mind Organization for Moms) have the power to make life much, much easier--whether it's the first day of school or simply the first day of the rest of your life. Things are moving WAY too fast around here. Between unpacking from our trip, finishing the new edits for Mind Organization for Mom (which is so exciting I can hardly stand it), dishing out endless snacks and meals, coordinating housework, and changing diapers, there are lots of fun little moments I don't want to forget. First, my two boys are finally playing together like I always imagined. They roll cars, play "school," fight like crazy, run in the sprinklers, and dress up in their superhero jammies. I love it. Then my girls are working on a blog with Saren's children, and they're putting on a photo contest right now. If your children want to submit silly photos, click here for more information. I will totally deny that any of their silly photos are of me. They can't prove anything. And as long as we were having fun with googly eyes, Alia thought she would make some fruit and vegetable people. Someday I am going to miss having children around to decorate my produce. I think the best part of my life right now is that I feel healthy--really healthy--for the first time in 10 years. My six pregnancies were incredibly difficult (two didn't last very long...), and I had four surgeries last year to correct a health problem I've been suffering with since I was 19. When I feel healthy, when I'm getting enough rest, and when I have a little time to pull things together, I feel like I'm on top of the world. But my heart goes out to the millions of women out there who are sick, suffering, depressed, or frustrated with their lives. That's why I'm doing everything I can to (1) enjoy the moments that are good--even when it's hard to notice them, and (2) reach out to strengthen the mothers of the world through The Power of Moms. I feel things growing and growing and growing with this organization, and I appreciate this opportunity to do something helpful. I just hope I can do a good job. Right now I'm sitting on the couch with Spencer--still in my exercise clothes (though I haven't exercised yet! ), trying to finish up some work on Mind Organization for Moms. There are toys and pillows and blankets and fingerprints EVERYWHERE, but I will get to them in a minute. This is important...and there are about 7 minutes left on "Dora," so I've got a little window of time to write. 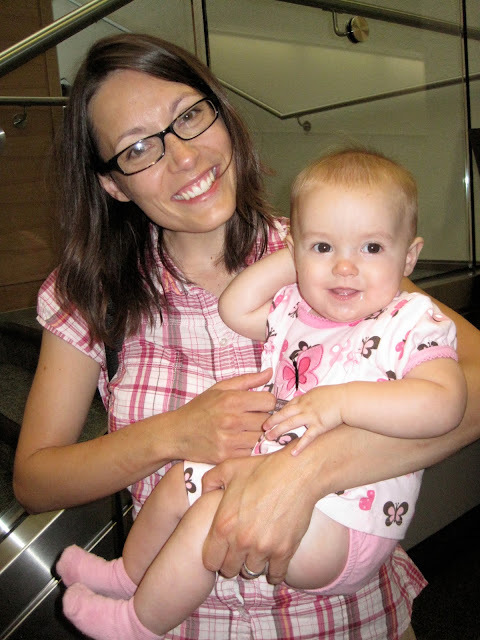 Over the past three months, hundreds of moms have given Mind Organization for Moms a try. I've received some excellent suggestions and feedback (so a new and improved version is coming out in two weeks), and I've read dozens of exciting emails from moms who are noticing a distinct change in their lives as they're getting organized. It's a wonderful feeling to know that the hundreds of hours I've poured into this program are actually making a difference out there. If you'd like to read a few inspiring testimonials, click HERE. So recently I had "one of those days" (actually it seems I can make that statement at the end of most days lately). It was one of those days involving a teething baby, seven other children running in and out of my house, my daughter decorating her face with peanut butter, piles of dishes and loads of laundry screaming to be done, three cups of apple juice spilled (consecutively), realizing that two of my three toilets look scary (understatement), finding a very overdue medical bill, etc. I could go on, but why? This is nothing new to any of you. This scenario probably sounds incredibly familiar, and I can almost guarantee that each off you have days that EASILY top this one. Now, I am not complaining (ok, maybe a little). I like to think of it as venting. I feel very blessed that I even have my sweet children, access to yummy peanut butter, and even nasty toilets to use. The reason I am sharing this recent frustrating day with you is that I found a few red flags have been popping up in my mind lately. I feel like I am running a million miles an hour, but in a million different directions. At least if I were running that fast in one direction, I would be getting somewhere. However, I am not and as a result am falling further behind in life with . . . everything (oops). (just ask, or . . . maybe don't), less patient with my kids, losing my love of motherhood, and feeling very stuck. So, am I sharing all this just for kicks? Nope. I am certain that there are a million other moms out there that feel this same way and there is no reason to stay "stuck". My husband tried introducing me to a book called Getting Things Done and while I loved much of it and feel it has a lot of worthwhile information, I needed something more mom specific. 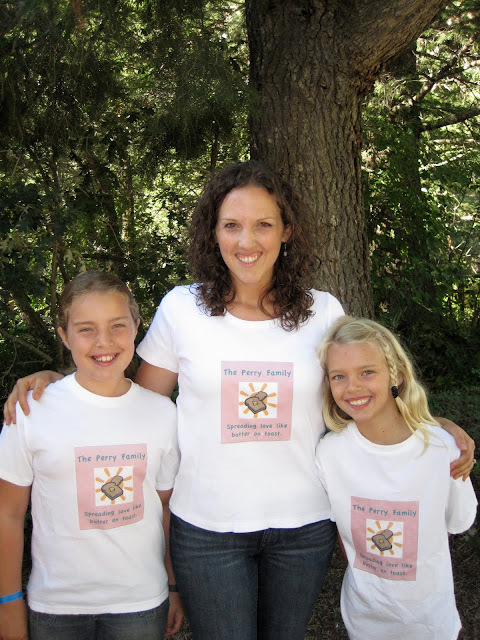 Then a miracle happened, and I found this wonderful site called "The Power of Moms" and . 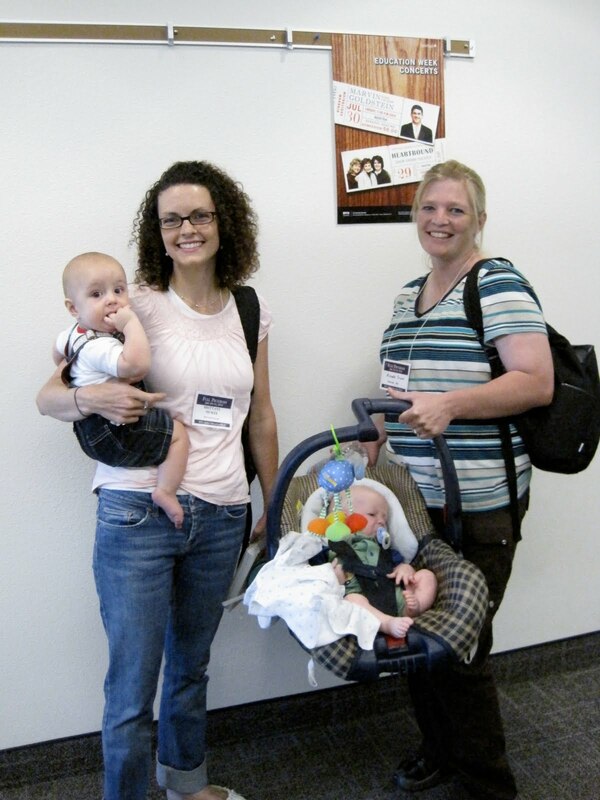 . . they took the Getting Things Done book and made a mom-friendly version of it. YEAH!!! Someone loves me. I love this website. It offers the kind of support ever mom needs: sharing frustrations, sharing solutions, sharing great ideas, sharing ways to love motherhood, and sharing how to grow yourself as a mom. I think I may get unstuck. They even have a newsletter they send out, "Question of the Week," and "A Monthly Value". I love this because I think it will help me to grow and feel more connected to other moms and myself (which is something I have kind of lost lately). I really do not want to have to grin and bare it through these next several years of motherhood and feel like I am doomed to never grow mentally, spiritually, or emotionally. Thanks for reading my novel (it's my first one)! I LOVED this email. It totally made my day. Not because this mom is struggling, but because she's finding that there is hope. I know there are millions of moms out there who need hope. They're feeling tired, frustrated, angry...you name it. I get that. I feel it sometimes, too, but because I've learned how to deal with those feelings, they don't get the best of me. Now I just need to figure out how to take this hope out to all the mothers in the world. If you have any ideas, please share them! Okay, Dora is over. I think I'll get cleaning! And, as my friend Susan says, "Make it a great day!" 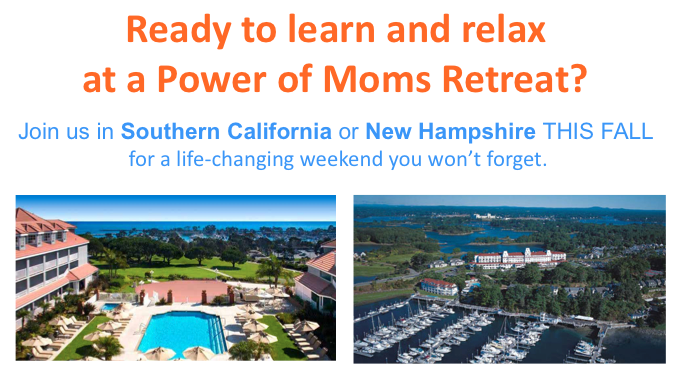 Southern California Power of Moms Retreat...can't wait! A year ago, I created a "Pie in the Sky" list...things I dreamed of, but couldn't picture actually happening. At the top of that list was "Have a Power of Moms Retreat." 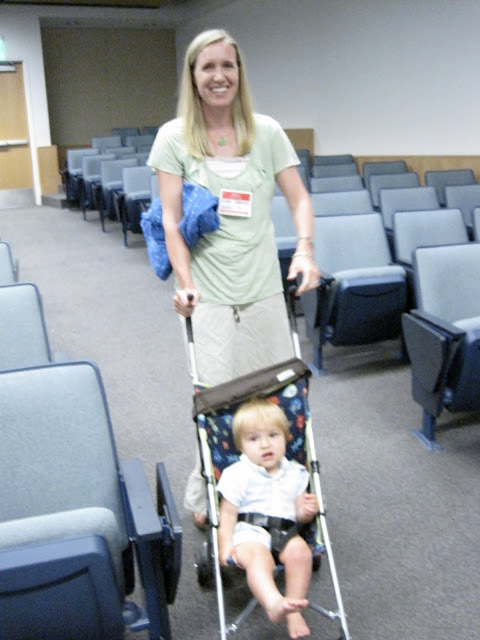 I've been working on this website (www.powerofmoms.com) for the past four years, and even though online connections are great, there's nothing like physically gathering with and learning from like-minded mothers. My dream came true back in June, when we had our very first Retreat in St. George, and now we're having a second one right here in Southern California on September 17th and 18th. I am THRILLED. The best part is how the efforts of good women have come together to make this happen. I didn't know how to put on a Retreat, but Saren (my co-director at Power of Moms) is a professional in conference planning. She is incredible. And then our two amazing Power of Moms Trainers/Retreat Organizers, Sarah and Susan Chapman, have done all the California leg work to get this local one to happen. I feel privileged to be a part of it. For any of you in or near Southern California, please consider yourselves formally invited to attend this Power of Moms Retreat. We're calling this a "Get Organized" Retreat, where I'll provide in-depth, but easy-to-follow training on our new program, Mind Organization for Moms (based on David Allen's best-seller, Getting Things Done), and Saren will teach us all how to establish family systems that work (her parents, best-selling authors Richard and Linda Eyre, speak all over the world on this topic, and Saren does a great job helping her fellow mothers learn to apply it in their own homes). We'll also have table topics, plenty of discussions on how to find joy in mothering, and opportunities to relax and enjoy the beauty of the Laguna Cliffs Resort and Spa. Does that not sound like the kind of weekend every mother needs? It's been a wonderful, busy month--visiting with extended family, speaking at BYU Idaho's Education Week and Especially for Youth in Provo, and now enjoying some time with my own little family. I'll be back on task next week, refreshed and ready to go after this much-needed vacation. In the meantime, here's a fun video put together by Mindy, Valerie, and a nice man who was playing the guitar at the Red Mountain Spa restaurant during our Power of Moms Retreat. Thanks, gals, for putting together our very first song! It has taken me way too long to upload all these photos tonight, but I wanted to at least get them posted, and then I'll write up some captions and stories when I get a chance. I'm on my way to teach at EFY tomorrow at BYU in Provo. I am exhausted, but very excited!